A copy KEHIN with POWER JET at low price, a real economy because comes with its flexible mounting sleeve and its adjustment nozzles. 59,82 € 59.82 tax incl. 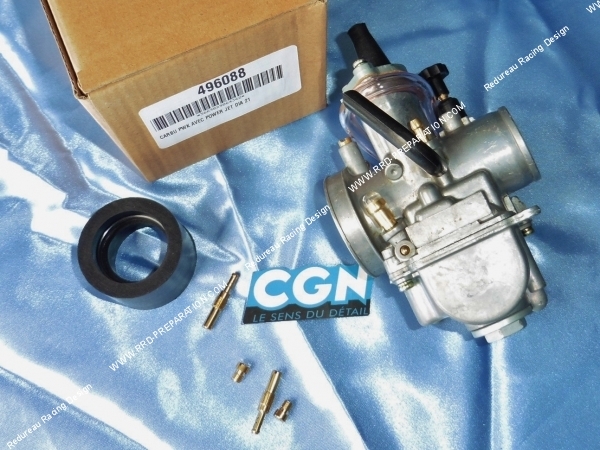 The new PWK carburetor propsed by the French brand CGN, a copy of the KEIHIN carburetors with cheap POWER JET and good quality for such a low price! 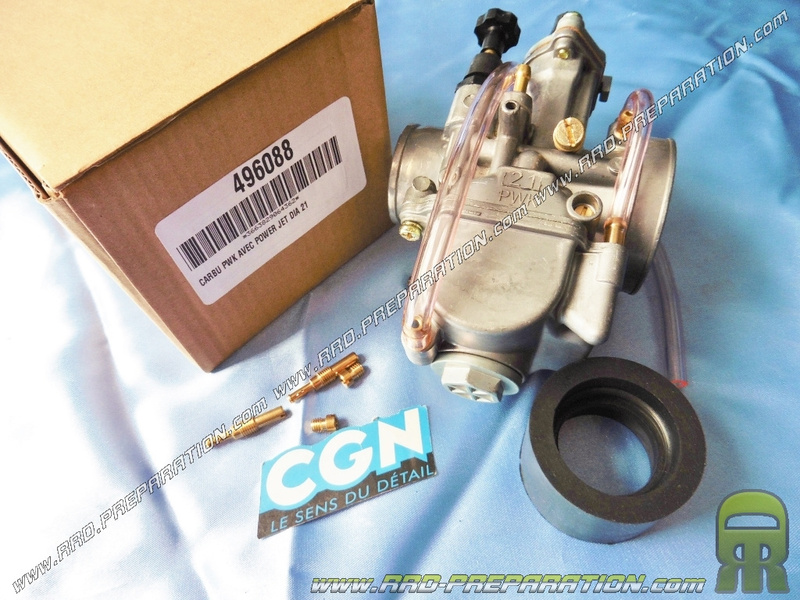 This carburetor is like all copies made in Asian countries, a good entry level! It has a correct finish! It has the powerjet: a system that enriches for a better gas mixture has more than 3/4 of opening bushel. Its intake tulip, is specifically designed to offer the best performance and accuracy, especially on the recovery as all PWK. Like other PWK type carburetors, this model features a lightweight die-cast aluminum alloy body. The bushel is flat, this very short carburettor has a very good engine, ideal especially on the exhaust bar. 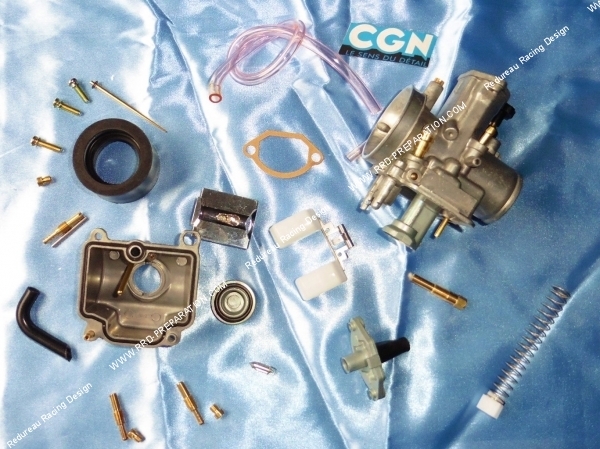 This carburetor has a plug for vacuum valves, you do not have to use it. The presets (needle / well / sprinkler ...) are very good for powerful engines and several adjustment nozzles are delivered with (however small flat, no size indicated, it is enough to look at the size at the eye and the color of the candle ...). 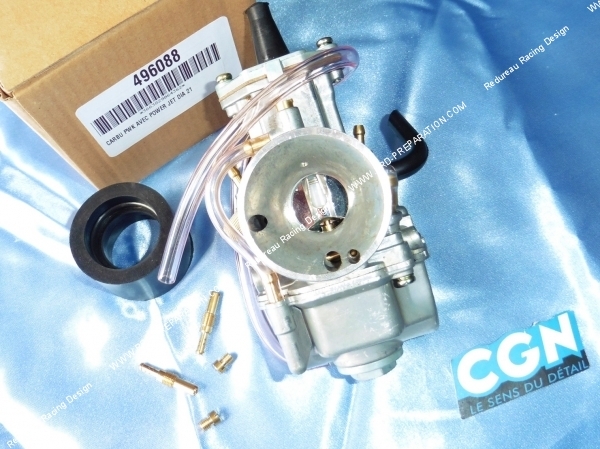 Clearly, this carburetor has a great price because it is also delivered with its flexible sleeve and sprinklers worth around € 15!